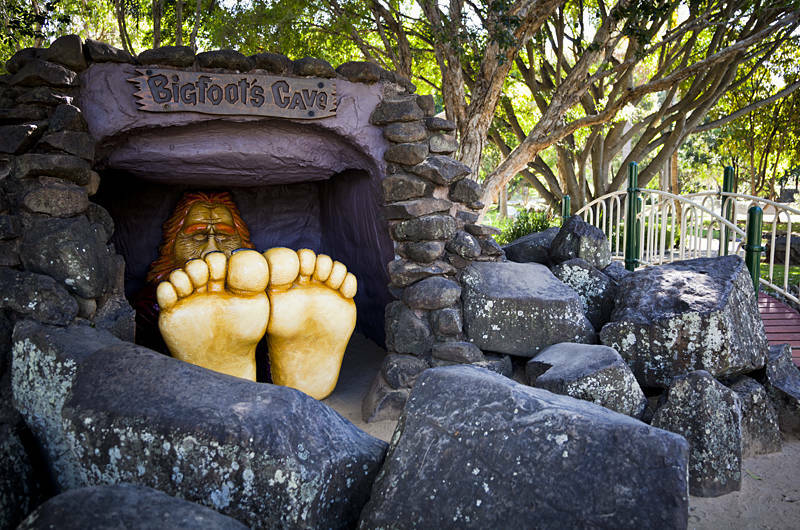 This is Bigfoot’s Cave. It can be found in the middle of an island park in the mouth of the Nerang river on the Gold Coast. It is a little oasis next to the forest of skyscrapers in Surfers Paradise, Queensland, Australia. The name of the island is in some dispute. It was believed to be named after a former Lands Department officer, however the local council have begun replacing signs for Macintosh island with McIntosh island after a descendant of the early European settlers produced historical records.